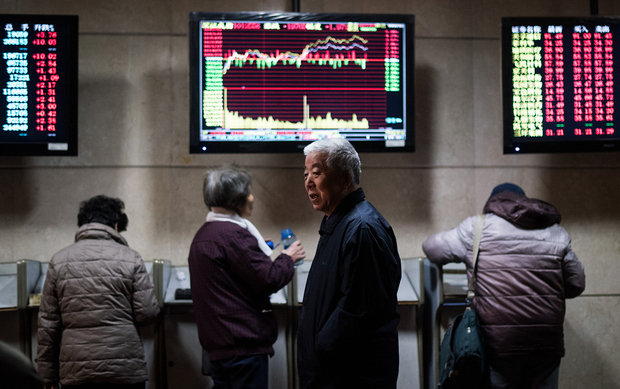 Investors at a Shanghai brokerage house on January 18, 2016, a day when stocks ended marginally higher after a volatile morning. With equity markets in free fall, housing prices skipping downwards, foreign reserves plummeting, and industrial production on a road trip back to the last decade, it’s no surprise permabears like Gordan Chang are stocking up on popcorn to bask in what they see as the long-due collapse of the Chinese economy. It all raises the question of how bad things are going to get, which leads to the question of how bad they are right now. Joining Kaiser, Jeremy, and David in the studio today to talk about the Chinese economy and its recent tailspin is none other than Tom Orlik, an economist at Bloomberg and author of the book Understanding China’s Economic Indicators. Tom has years of experience writing about China and joins to share his thoughts on what parts of the economy are doing decently and where the real problems lie. We hope you love the show.